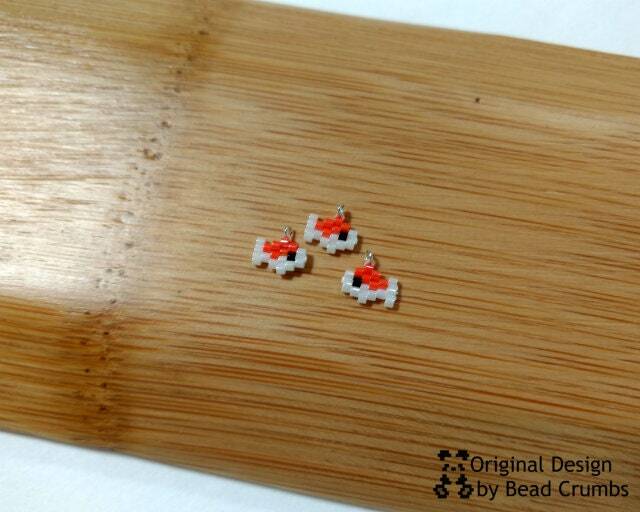 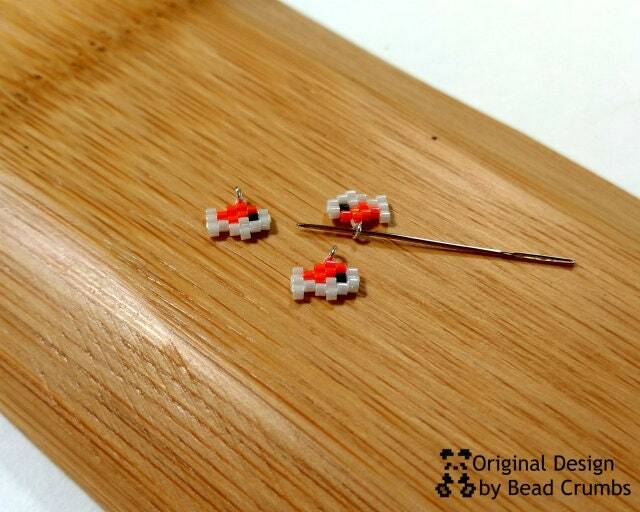 ITEM: Micro sized koi (Japanese carp) charm hand stitched with Miyuki Delica seed beads in the brick stitch bead method. 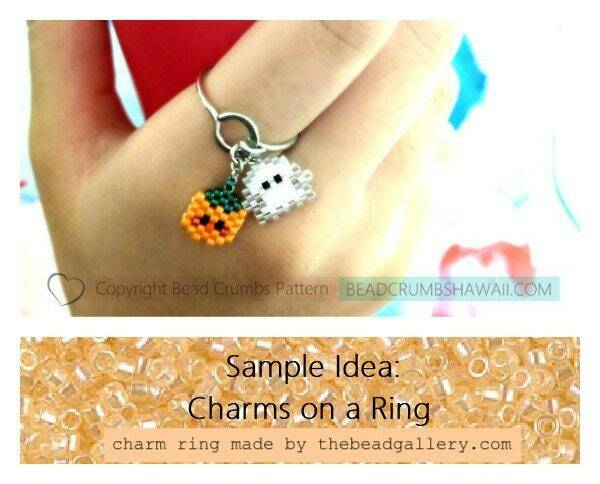 You will receive THREE charms. 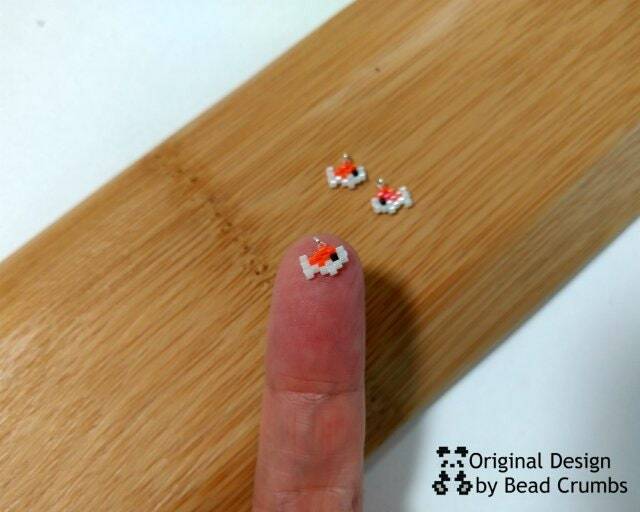 Each tiny white and orange fish has a sterling silver closed jump ring attached to the top to make it easier to use in your own creative designs such as planner, cell phone or bag charm. 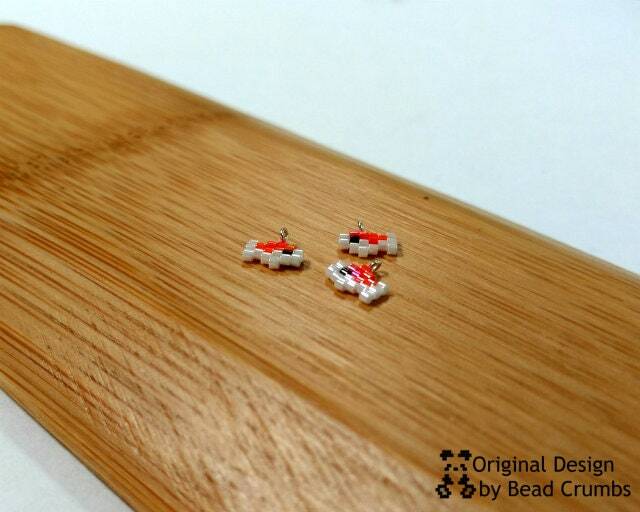 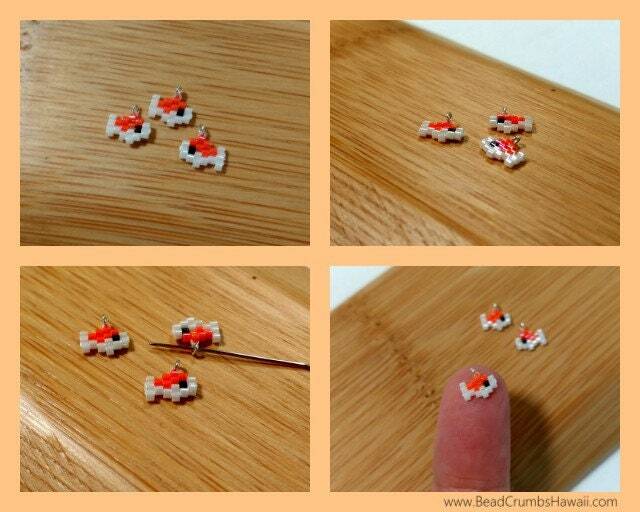 You could also use it as earring or pendant components.